As I’m sitting here writing this it sure feels like a touch of spring outside. (Big sigh)Maybe that’s wishful thinking. I sure am ready for spring though, how about you? I long for spring time morning walks with my dog Cole. Taking in the bright green leaf buds on the trees and the early blossoms of daffodils, crocus and hyacinths. Can you see them? Even the wildlife seems excited at that time of year. Squirrels, rabbits and chipmunks all dashing about. Cole sure loves that part! She literally prances as if on high alert at that time of year. I love to watch her shadow because her ears are up and bouncing with each stride, so cute! A day like today makes the daily walking quite enjoyable. 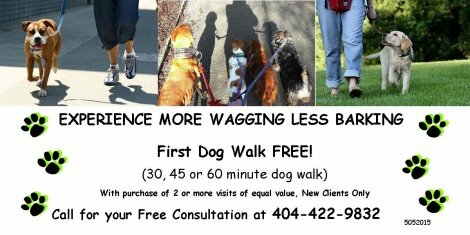 I must admit I do so enjoy walking with my dog or client’s dogs as it is just a wonderful way to be with them, fulfilling their primal need. On a sad note, our oldest cat Jet passed away recently. He was 15 years old. We adopted him from the Atlanta Humane Society when he was a tiny kitten. He lived a long healthy life and brought us much joy in those 15 years. He will be very much missed. This month also brings St. Patrick’s Day and Pet Poison Prevention Week. So get out there, take a walk, wear a bit of green, and read on to learn how you can help keep your most precious pets safe from accidental poisoning. March 15-21 marks the 53rd anniversary of Poison Prevention Week. Poison prevention is serious business and over the decades the information distributed via the American Association of Poison Control Centers has no doubt saved many lives. 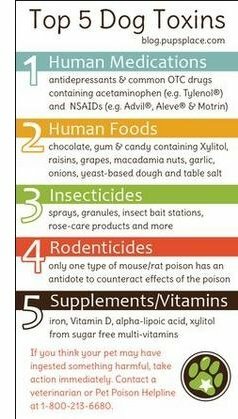 This information had for many years been directed at families especially those with children, but did you know that there are 24/7 Animal Poison Control Hotlines? Springtime can be especially dangerous as pets may ingest or come in contact with gardening products like insecticides, weed killers and toxic plants. Many human medications such as pain relievers, antidepressants, ADD/ADHD medications, sleep aids, muscle relaxants and heart medications are toxic to pets. Read more here. Pet owners love to boast about the cleverness of their furry companions. Dog and cat lovers, in particular, seem to relish unending debates over which animal is "smarter." Dog owners often cap their arguments with the fact that dogs have the ability to perform tricks, while cat people counter with the claim that their pets are too intelligent to perform on command. In truth, such methods of pet comparison are futile animal-world versions of mixing apples and oranges. Read more. 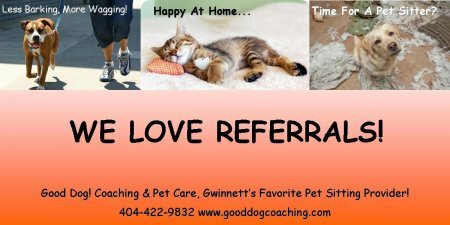 Professional Pet Sitters week is celebrated annually the first full week in March. It honors the hard-working pet-care professionals who care for the world's companion animals when their owners are away. This week acknowledges the dedication of these professional pet-care givers to provide unparalleled, quality care to their pet-owning clients. 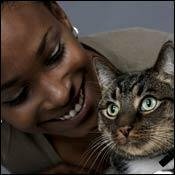 PPSW also raises awareness about the benefits of in-home pet care and the viability of professional pet sitting as a career. hard work & dedication you show our clients on a daily basis! Learn about our awesome team here. Cooper is a beautiful Yellow Lab. He shares his home with 4 other fur friends. He is such a sweet boy and a gentle giant. He loves to play with his toys but will stop to snuggle you any time you want! 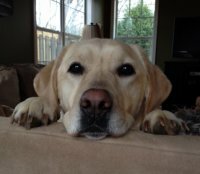 Atlanta Lab Rescue is an all volunteer, non-profit (501-c3) organization, whose volunteers have years of rescue experience. Our mission is to identify and rescue Labrador Retrievers and Lab Mixes from overwhelmed shelters and abusive situations and place them in secure, loving homes. We average 40-50 dogs in the program at any given time and in our first 6 years, we have rescued over 2000 dogs. Read more here. "Terie was great. So patient and generous with her time and expertise. The housebreaking alone was worth the cost of the training. Terie is very gifted and intuitive with dogs. 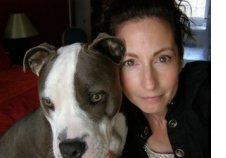 I would recommend her to anyone requiring dog training services." "The cats didn’t even know we were gone! Excellent job! Couldn’t ask for better value. When we walked in the house the cats didn’t even greet us because they had already gotten so much love & attention."